Mr. Jonas is the Founder and Chairman of IDT Corporation (NYSE: IDT), Genie Energy (NYSE: GNE), and IDW Media (OTC: IDWM). He was also the Founder and controlling shareholder of Straight Path Communications, Inc (NYSE: STRP), which was acquired by Verizon for $3.1 Billion. Mr. Jonas has extensive leadership experience in founding and growing public companies, and has sold multiple businesses in deals worth both hundreds of millions and billions of dollars. He received his B.A. in economics from Harvard University. Mr. Luther has 25+ years of experience in healthcare, specialty pharma and bio-pharma industry segments in strategy, business development, alliances, commercialization and operations. Mr. Luther has previously worked for leading fortune 500 pharmaceutical companies including Bristol-Myers Squibb, Novartis, Bausch and Lomb, GE Healthcare and Mallinckrodt Pharmaceuticals.  Under his leadership, Rafael has made significant progress towards strategy, business portfolio, clinical development (leading to two Phase III programs and several Orphan Designations) and has enhanced its discovery portfolio. Mr. Luther is also Chairman of the Board of LipoMedix, an early stage pharmaceutical development company. He earned his B.S. and M.B.A. in Business Administration from SUNY Buffalo. 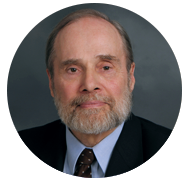 Dr. Shorr has a 40-year track record in drug discovery from concept through approval and market launch. As Rafael's Chief Scientific Officer, Dr. Shorr's primary focus is on the discovery and development of safe and effective novel drugs and delivery technology. 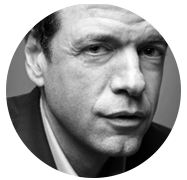 He has previously served as VP of Science and Technology at Enzon Pharma, VP of Science and Technology and Chief Scientist at United Therapeutics, and Associate Director of Molecular Pharmacology at SmithKline Beecham. At Enzon, Dr. Shorr was responsible for co-development with Schering-Plough of the blockbuster drug, PEG INTRON A, for the treatment of hepatitis and certain forms of melanoma. 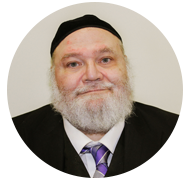 Dr. Shorr has authored more than 250 technical articles, abstracts, book chapters and conference proceedings and has more than 150 inventions with more than 300 issued and pending patents worldwide. He earned his Ph.D. from the University of London, and a DIC from the University of London Imperial College of Science and Technology. 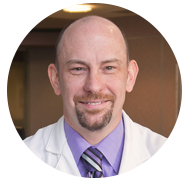 Timothy S. Pardee, M.D., Ph.D.
Dr. Pardee is an Associate professor and the Director of Leukemia Translational Research at the Comprehensive Cancer Center of Wake Forest Baptist Medical Center. He heads an NCI-funded research program focused on the role of cellular metabolism in cancer cell survival and resistance to therapy as well as novel therapeutics. Dr. Pardee has played a lead role in the development of the novel metabolism-targeting agent devimistat (CPI-613®). He earned his M.D. and his Ph.D. from SUNY Buffalo. Dr. Hu has 18 years of experience in clinical and pre-clinical research, pharmaceutical drug development, and academia. He has previously held leadership and management roles at Novartis, GlaxoSmithKline and Jazz Pharmaceuticals. Over his career, Dr. Hu has primarily focused on building up pipelines for big pharma and small biotech companies in oncology and hematology related therapeutic areas. 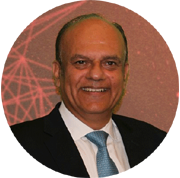 He has contributed to the development, submission, approval and life cycle management of 18 drugs in various indications including multi-billion dollar franchises. 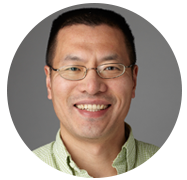 Dr. Hu earned his Ph.D. in Pharmaceutical Sciences from Shenyang Pharmaceutical University. Prof. Bingham is a molecular biologist, an evolutionary biologist, and an Associate Professor in the Department of Biochemistry and Cell Biology at Stony Brook University. He was the co-discoverer of the first Altered Metabolism Directed (AMD) compounds. Prof. Bingham has published numerous papers, peer-reviewed articles, and book chapters on molecular and evolutionary biology. In 2008, Prof. Bingham and his colleague, Prof. Zuzana Zachar, received the Michael Maffetone Award for Cancer Research from the Carol M. Baldwin Breast Cancer Research Fund. He earned a M.S. in Microbiology from the University of Illinois, and a Ph.D. in Biochemistry and Molecular Biology from Harvard University. Dr. Rowlands is a seasoned and experienced regulatory strategist whose career spans nineteen years at companies including Forest, Sanofi, Otsuka, NPS Pharma, and InfaCare. Dr. Rowlands has worked closely with the FDA to develop and execute regulatory strategies for drug candidates for a wide range of therapeutic indications. Throughout his career, he has contributed to the development of innovative products for unmet medical needs leading to the filing and approval of Namenda, Natpara, and accelerating development and early NDA filing of stannsoporfin for neonatal hyperbilirubinemia while at InfaCare. Dr. Rowlands most recently joins us from Actinium. He has a B.S. in Pharmacy as well as a Doctor of Pharmacy (Pharm.D.) degree from Rutgers University. 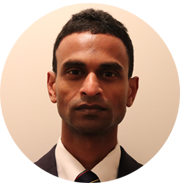 He also completed a post-doctoral pharmaceutical industry fellowship jointly sponsored by Rutgers University and Hoffmann-La Roche. 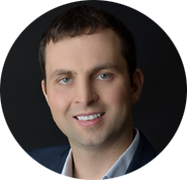 Mike is a strong entrepreneurial leader, who built and managed multiple departments, and spearheaded technical, manufacturing, CMC regulatory and combination product activities to successful launch and product approval. He worked with innovative medicine organizations, the most recent being Alnylam Pharmaceuticals and Regeneron Pharmaceuticals, resulting in commercialization of leading products: Praluent, Eylea, Kavzara, Dupixent, Onpattro and other. Mike holds a BioMedical Engineering degree and MBA from University of Illinois at Chicago. He also achieved RAC (US & Global), Six Sigma and PMP certifications. Prof. Zachar has a dual appointment with the Department of Biochemistry and Cell Biology and with the Institute for STEM education (iSTEM) at Stony Brook University. She heads a research laboratory in the Department of Biochemistry & Cell Biology and is the Director of the Masters in Teaching Biology Program for iSTEM. 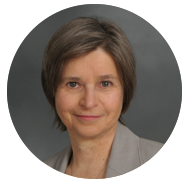 She has many significant publications in transposon biology, regulation of alternative splicing of mRNA, and nuclear architecture. Prof. Zachar was the co-discoverer of the first Altered Metabolism Directed (AMD) compounds along with Prof. Paul Bingham. She received her MS.c. in Microbiology from the University of Illinois, and a Ph.D. in Genetics from Stony Brook University.